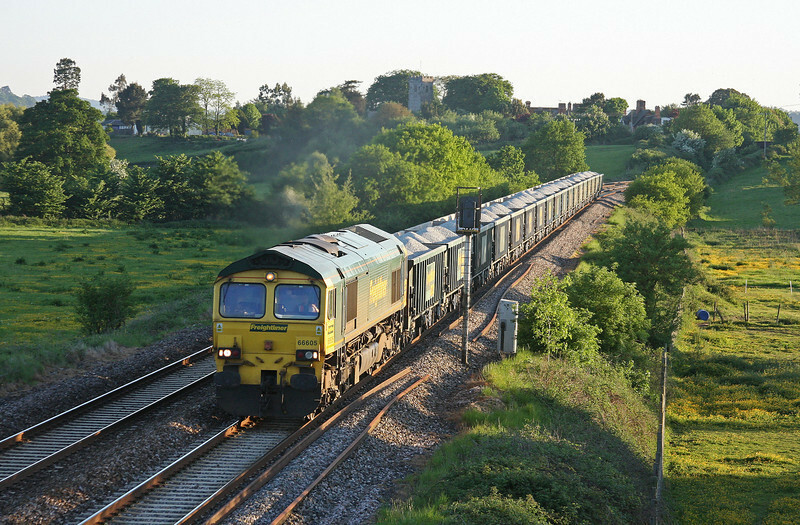 66605, 17.45 Burngullow-Reading-Bow, Rewe, near Exeter, 24-5-10. 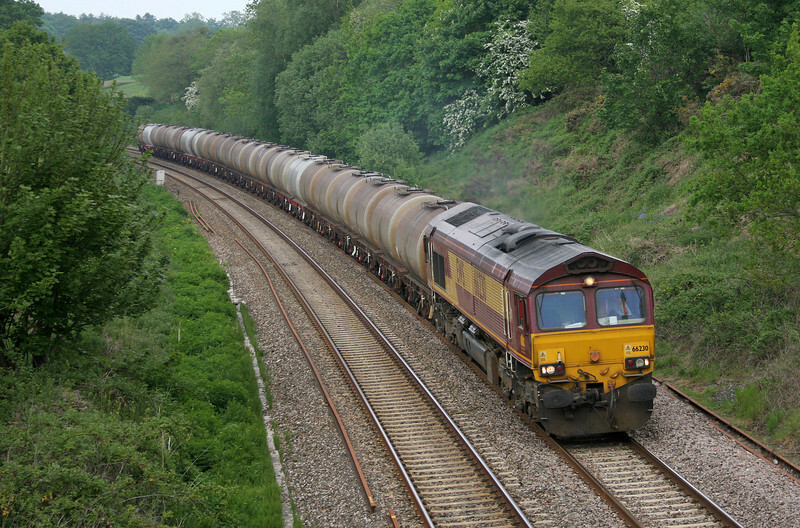 66230. 09.29 Fawley-Plymouth Tavistock Junction Yard, Whiteball, 25-5-10. 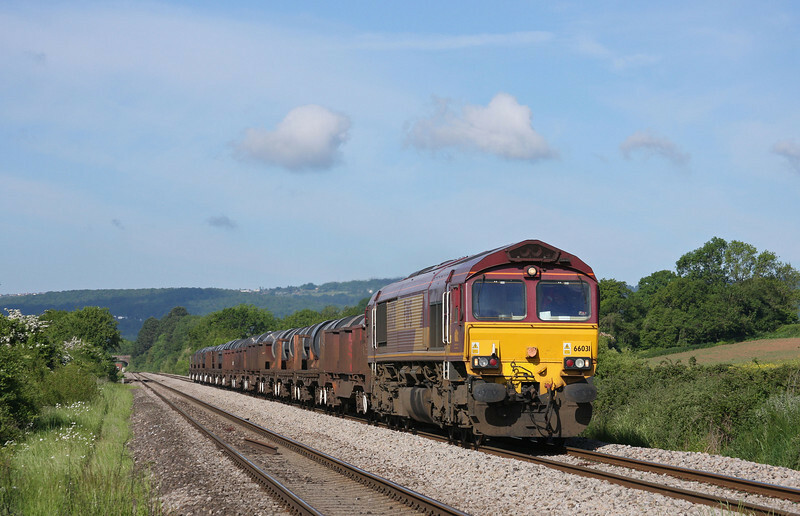 67016/67022, 12.47 Paignton-Cardiff Central, Marlands, near Wellington, 26-5-10. 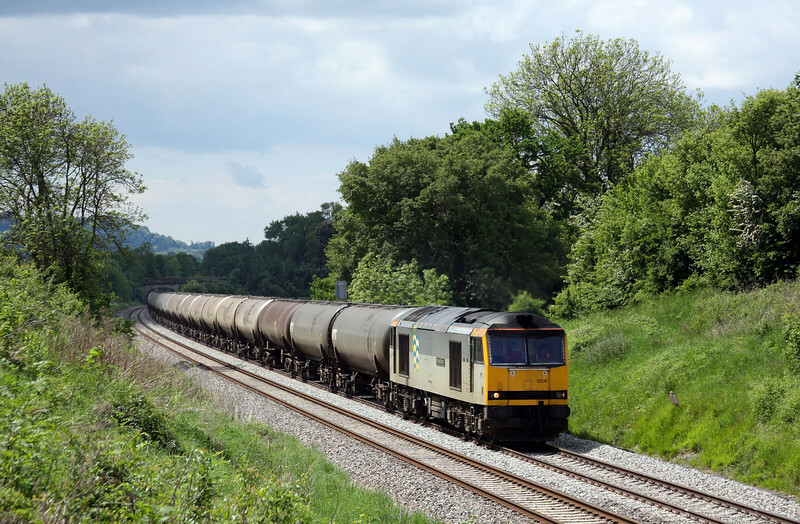 66031, 05.50 Margam-Corby, Broken Cross, near Westbury-on-Severn, Gloucestershire, 27-5-10. 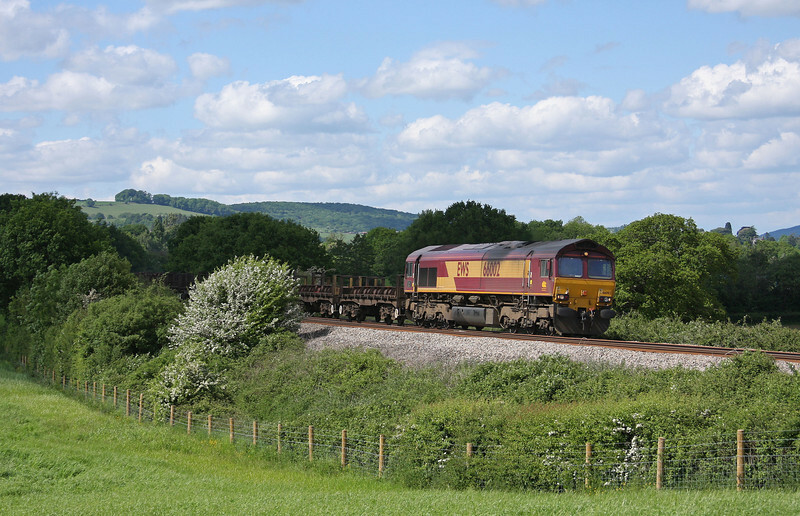 60039, 05.05 Robeston-Westerleigh, Frocester, near Stonehouse, 27-5-10. 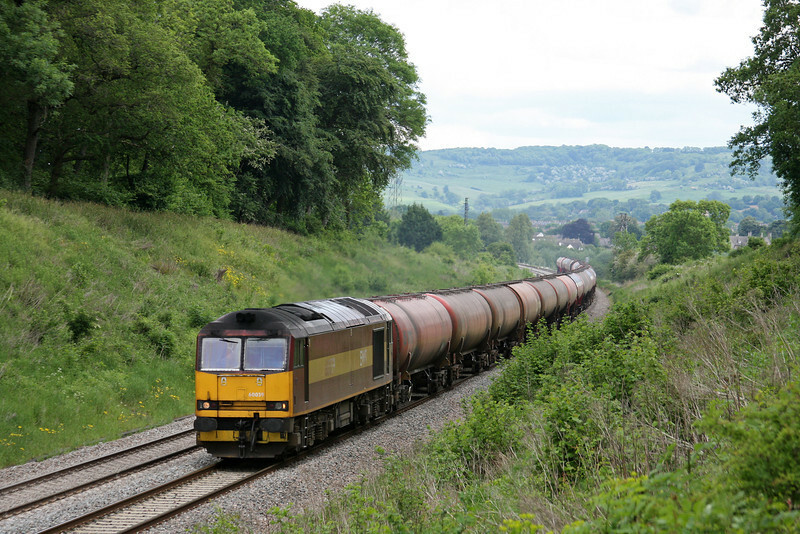 60054, 11.41 Westerleigh-Lindsey, Frocester, near Stonehouse, Gloucestershire, 27-5-10. 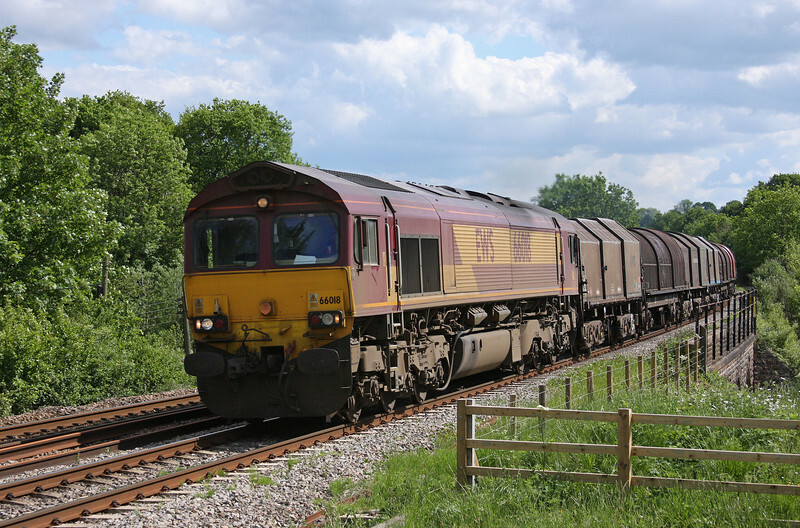 66136, 07.50 Warrington Arpley Sidings-Avonmouth Bulk Handling Terminal, Frocester, near Stonehouse, 27-5-10. 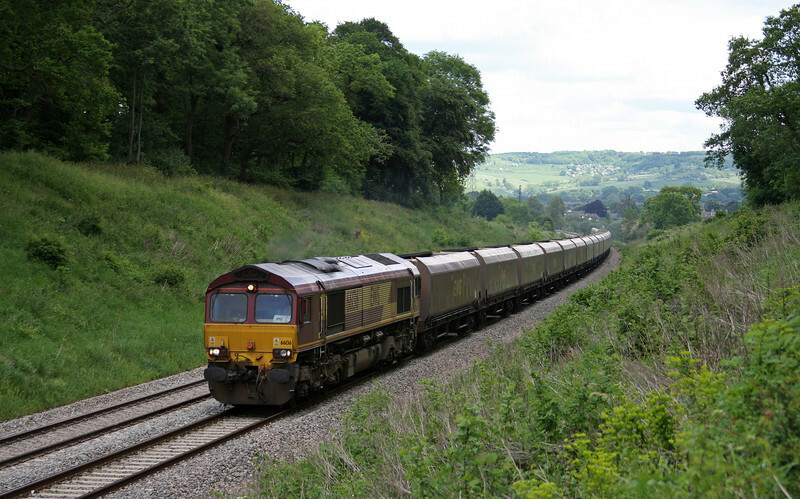 66002, 10.10 Corby-Margam, Box Farm, Awre, Gloucestershire, 27-5-10. 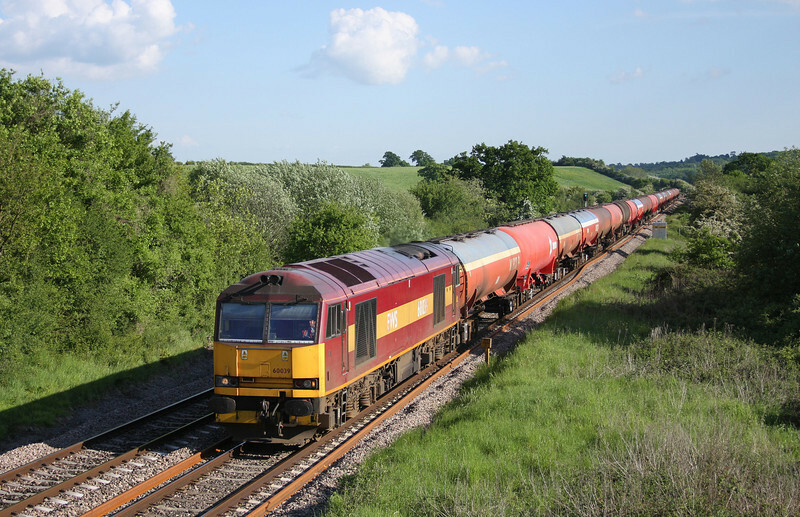 66018, 11.55 Margam-Round-Oak, Bullo Pill, near Newnham, Gloucestershire, 27-5-10. 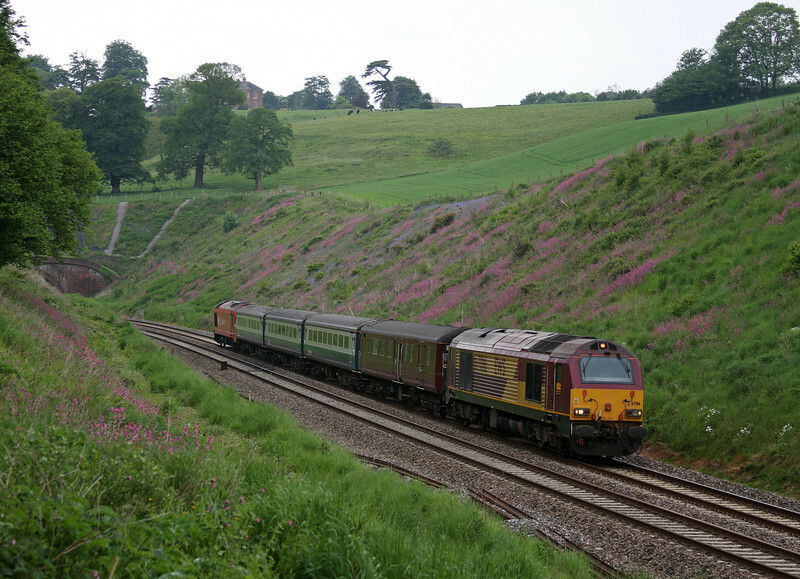 60039, 17.22 Westerleigh-Robeston, Michael Wood, Gloucestershire, 27-5-10.